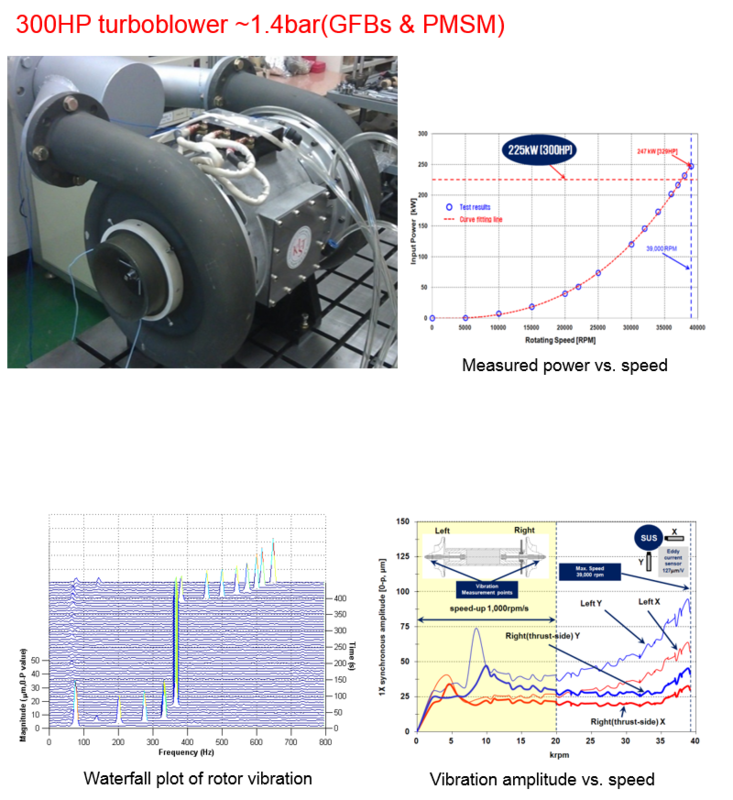 Oil-free turbo blower that is directly driven by high speed motor has many advantages. In spite of compact design and high performance, there are some problems for commercial reliable product. KIST researched fundamental of rotordynamic stability. This research deals with the stability and behavior of high speed blower. The rate power of the permanent magnet synchronous (PMS) motor is 300 HP (225kW) at the maximum rotating speed of 39krpm. And, KIST conducted speed-up test up to 39krpm using bearing turning technology.